Register now for the November 9, 2015 CNY Expo! 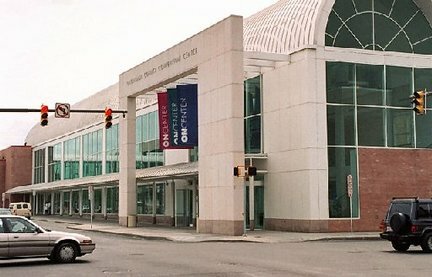 Heading into its 12th year, the 2015 CNY Expo will again be held at the Nicholas J. Pirro Convention Center (The Oncenter) in Downtown Syracuse. This year’s Expo will feature 43 technical presentations. The keynote session will feature a presentation on the New York State Infrastructure Report Card. This year’s Expo is being sponsored by the Society of Fire Protection Engineers (SFPE). Other major sponsors to date include C&S Companies, ej Companies, and NY Leak Detection. The CNY Expo Steering Committee is made up of representatives from area non-profit technical organizations including SFPE, ASCE, IEEE, ASME, NSPE, ASHRAE & IES. Contact Tom Horth at thorth@cscos.com or (315) 703-4244 for more information. Note: An earlier email indicated that this event is free for veterans. It is not and we apologize for any inconvenience this may cause. Thank you for your support of the ASHRAE CNY Chapter.